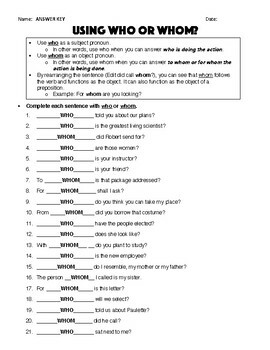 In this worksheet, students are given a clear explanation of the use of who and whom, some tricks to remember when to use either, as well as examples. 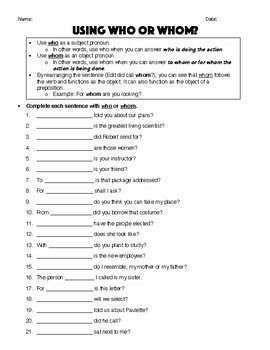 Students must then complete each sentence using either who or whom correctly in 21 different sentences. Excellent practice. Answer key is provided. Common core (CCSS) aligned. Click here for other grammar worksheets!